Deputy Foreign Minister welcomes Likud Central Committee’s approval of a motion to apply Israeli sovereignty over Judea and Samaria. 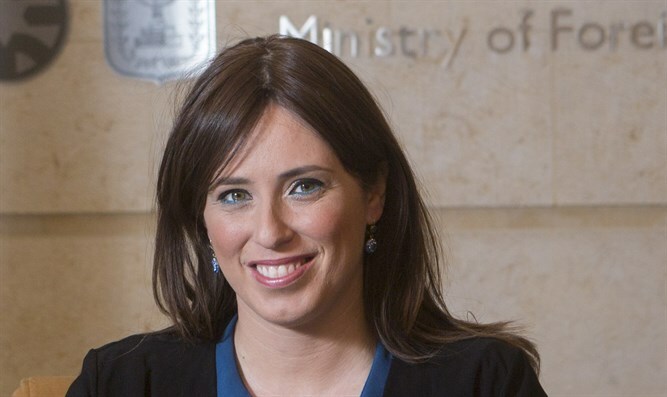 Deputy Foreign Minister Tzipi Hotovely welcomed the Likud Central Committee’s unanimous approval of a motion to apply Israeli sovereignty over Judea and Samaria. “This is the right moment to start doing the right political acts to promote this and this is the first step,” she added. “Everyone knows, and our prime minister said many times that we’re not going to make any peace arrangement that includes uprooting Jews or Arabs from their homes, so I think it’s very clear that all the communities in Judea and Samaria will always remain under Israeli sovereignty. It’s just a matter of the political act,” said Hotovely. “This is our time to create history. I think history was already made by President Trump declaring Jerusalem as the capital of Israel. I think we should follow [with this move],” she concluded.